Sue Barton left her position as Superintendent of Nurses at the Springdale, New Hampshire Hospital in order to raise a family. Now she and Dr. Bill have three children: six-year-old Tabitha and the four-year-old twins, Johnny and Jerry. Sue is happy in her job as wife and mother until she goes to a reunion of her class in nursing school where the accomplishments of others make her feel as if she is stagnating. Yet Sue finds herself using her talents in countless ways as she nurses the neighborhood. 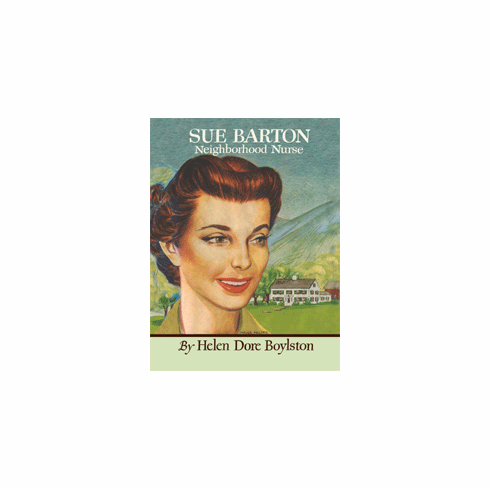 She finds work for a disabled farmer; she pinch-hits for the visiting nurse; she helps bring the famous artist, Mona Stuart and her teenage daughter Cal together. And always something is happening at home for Sue and Bill and their faithful Veazie Ann to cope with - Jerry's strange tantrums, Johnny's disappearance in the woods with his little friend Anne, Tabitha's attempt to run away. Are Sue's training and abilities wasted on all these daily and personal small problems? Her customary humor and warm good sense help her decide.